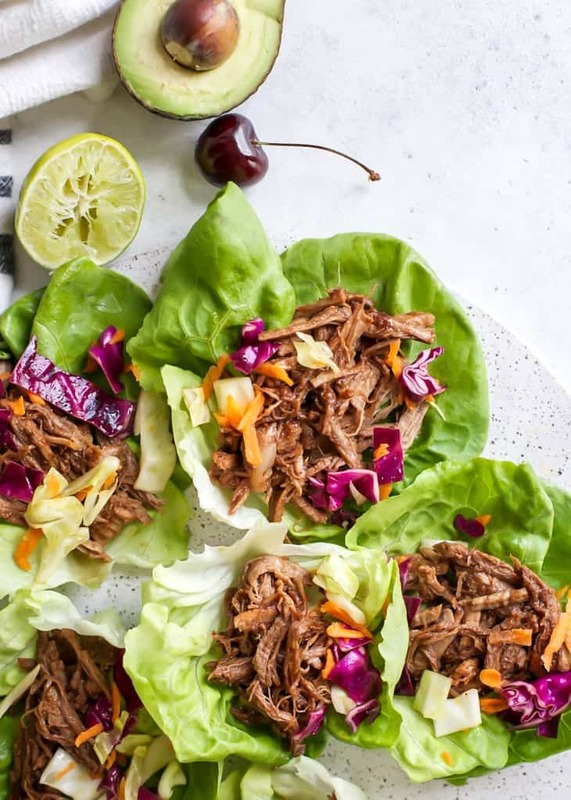 If you’re looking for a new way to make pulled pork, look no further than Cherry Chipotle BBQ Pulled Pork – serve it with lettuce wraps or buns for a delicious meal. Paleo-friendly. This post is sponsored by Butcher Box. As always, all opinions and thoughts are my own. 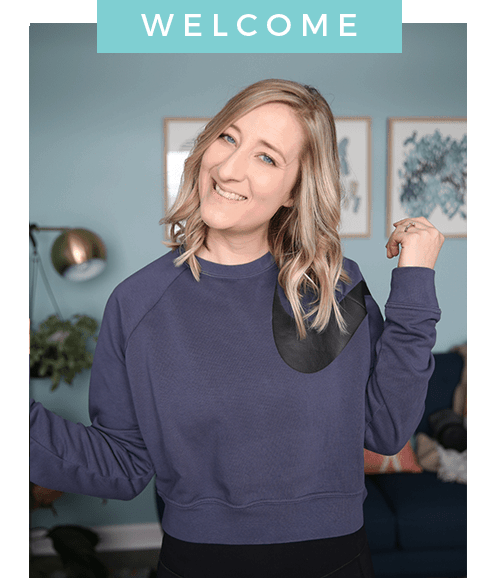 I am also an affiliate of Butcher Box – should you choose to purchase through my links, I will receive a small commission. I only partner with brands I trust and believe you’ll find value in! So here’s the thing… I kind of really enjoy pork. (Vegan friends don’t hate.) I know chicken is super easy to cook and all that but in certain instances, I prefer pork. Like for BBQ sauce dishes, crockpot pulled pork, carnitas at Chipotle, etc. Truthfully I am pretty picky about my pork and where I get it from. I typically can’t find great, high quality pork from the grocery store without spending a fortune (I’m talking to you, Whole Foods) so we don’t make it at home all that much. HOWEVER… I was recently introduced to Butcher Box and when I found out what they were all about, I was totally on board. Butcher Box is a delivery service providing high-quality meat from animals that have been humanely raised, and never with hormones or antibiotics. Over the past year or so I’ve been making a conscious effort to pay more attention to where we buy our meat. More so, where our meat is coming from and how it’s been raised. It really makes a difference in the quality and taste of the meat. And guys… It was the best chicken breast I’ve ever had. Seriously. Maybe it was the cool hipster chef who cooked my chicken. Or more likely it was because the chicken was a healthy, free-range chicken who was humanely raised and fed properly. Call me crazy but it makes a difference! And you might not realize it until you’ve had a few different organic and high-quality meats, and then try to go back to conventional meats. It just doesn’t taste as good. Now, I am not here to tell you what to do or how to shop for groceries, but personally I prefer to consume meat that is humanely raised, pasture-raised, free-range, etc. and Butcher Box has just that, plus the convenience of it being delivered right to your door. Oh, and back to the pork! I’m super excited to bring a little pork back into my life with the selection of heritage breed pork Butcher Box has to offer. Heritage breed pigs are purebred, registered animals that have been breed for longevity, fertility, and productivity. Are fed nutritious, all-vegetarian diet (forage + feed). Because these pigs have been raised healthy and slowly mature, they produce the best flavor too. Don’t freak – I know that’s a lot of ingredients but most of them are pantry staples. 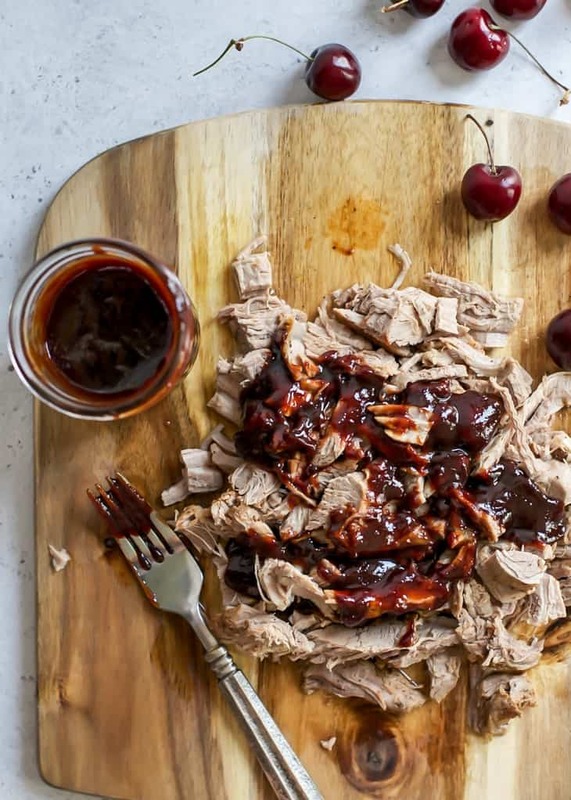 And the long list is because you’re making your own cherry chipotle barbecue sauce! Which is really easy – you’re essentially just combining everything in a saucepan and allowing it to simmer until it thickens. It takes about 30 minutes but it’s so worth it! 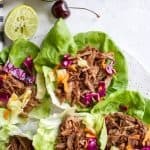 To prepare the pulled pork I used my instant pot, but you can also use a crockpot. Sprinkle salt, pepper, onion powder and paprika onto both sides of pork. With Instant Pot on Sauté mode, sear pork slightly on both sides. Then change Instant Pot to Manual mode, add liquid (I used beer) and pressure cook pork for 15 minutes. You can sear the pork in a skillet before adding to a crockpot, or just throw it in seasoned with a little bit of oil and about 1 cup of liquid (beer or stock for most flavor). Cook on low for about 4 hours. While the pulled pork is cooking, the sauce should be simmering. Once the sauce has fully thickened, you can transfer it to a jar until the pork is done. Then you’re just mixing it all together. I used the entire jar on about one pound of pork. You need: butter lettuce, simple lime cabbage-carrot slaw, avocado (for good measure). 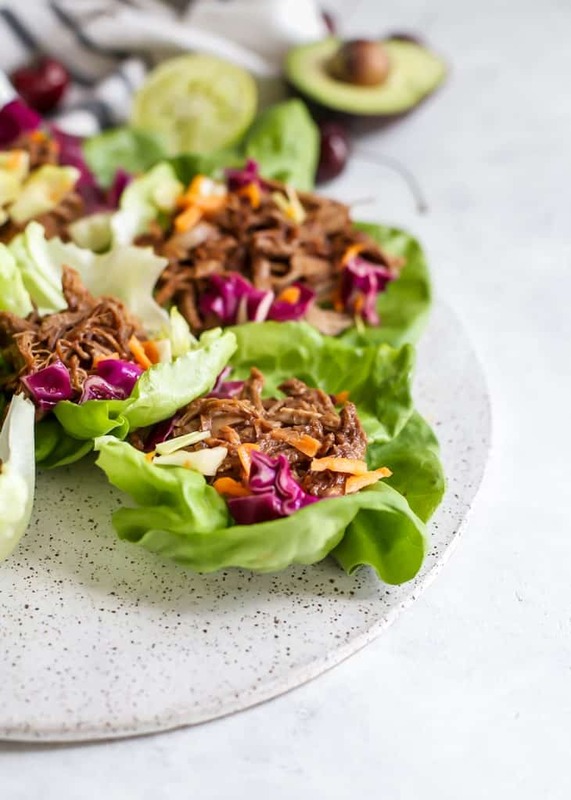 A simple slaw goes a long way in adding a hint of lime and crunchy texture to these pork lettuce wraps (and/or sliders). And if you’re ready to try Butcher Box and see what the hype is all about, I have got a deal for you! 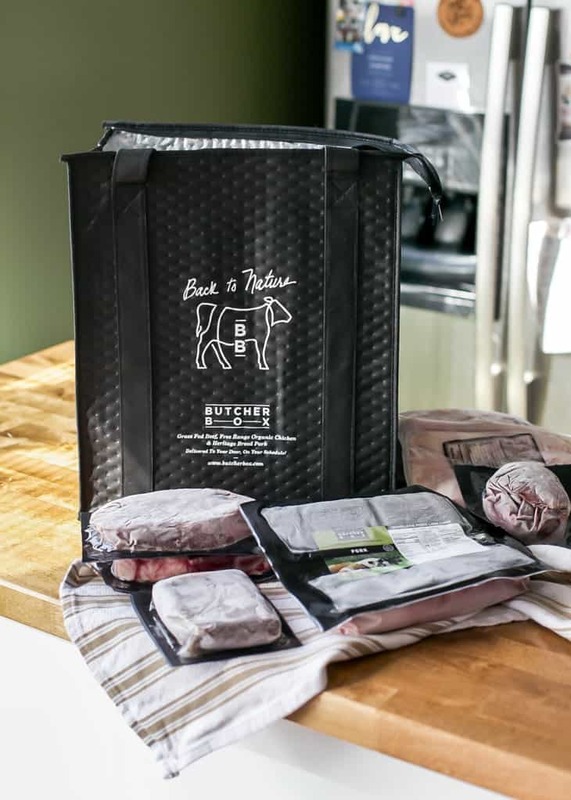 If you have trouble finding high quality meat and want to start being a conscious (meat eater) consumer, Butcher Box could be a great solution for you. 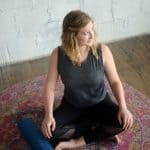 Would love to hear if you give it a try! Sprinkle on onion powder, paprika, plus salt and pepper onto both sides of pork. Using the Instant Pot, add about 1 tablespoon oil to pot and first use sauté mode to sear pork on both sides. Then turn pot to manual mode, add 1 cup of liquid (beer or stock), close lid making sure valve is sealed; cook on manual (high pressure) for 15 minutes and naturally release. See notes for crockpot cooking. Meanwhile prepare the BBQ sauce: In a medium pot over medium-high heat, combine ketchup, cherry preserves, beer (or water), apple cider vinegar, molasses, honey, dijon mustard, coconut aminos (or tamari) liquid smoke (if you have it), garlic cloves, adobo sauce, onion powder and paprika. Use whisk to combine and allow mixture to come to a quick boil, then turn heat down and simmer about 30 minutes, or until sauce has thickened. Remove from heat when done – you can also make this ahead of time and store in covered jar in fridge. combine all ingredients in a bowl, tossing to coat. 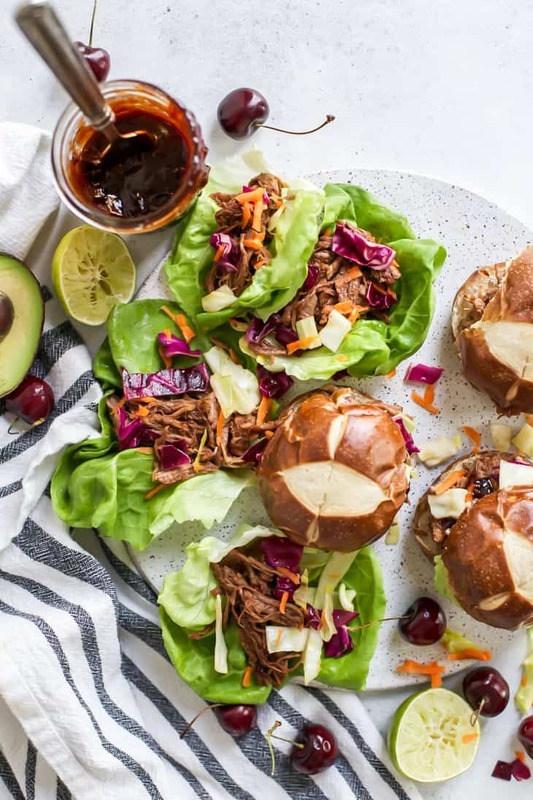 Layer on slaw, cherry chipotle bbq pulled pork, and avocado on buns or lettuce leaves. Enjoy! SLOW COOKER METHOD for PORK: Option to sear seasoned pork in skillet over medium heat first, or place directly in slow cooker. Add 1 cup of liquid to slow cooker with seasoned pork and cook on low for about 4 hours. Depending on how much pork you use (I only have 1lb) you may need more time to cook.